I’m not a big fast-food eater. While there are various reasons why eating fast food is looked down on, for me it ends up being a combination of not really liking most of the food offered, not wanting to waste the calories, and not wanting to pay the expense. But- that doesn’t mean I’m Suzy homemaker and up at the crack of dawn making an amazing lunch every day either. 3 of 5 days a week I pack cheese and crackers as my main lunch option, with maybe some beef jerky for protein thrown in. 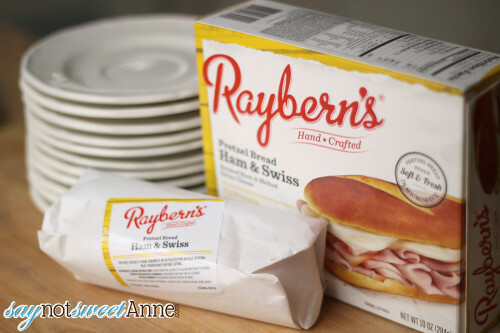 So, when Rayberns asked me to try out their line of frozen deli sandwiches I was excited but wary. I tend to avoid frozen meal options because I 1) always end up getting a “gross bit” -that thing you can’t chew and forces you to spit back out 2) I don’t like the flavor or 3) the texture is wrong. So I went to my local Walmart and picked up a Ham & Swiss option and packed it for my lunch with mixed enthusiasm. 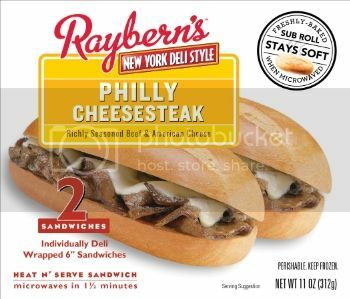 Raybern’s specializes in Heat ‘n’ Serve Sandwiches. 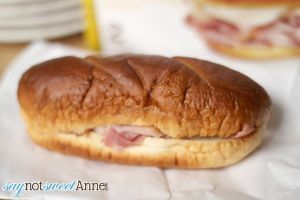 The idea is that after 45-90 seconds in the microwave, this bread is fresh-baked soft and the sandwich is hot. 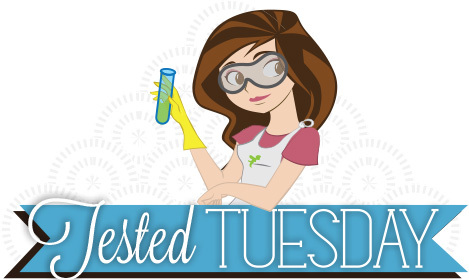 I encourage you to try them and form your own opinion – there is a coupon link below! When I first opened the box, I was pleased to find the sandwich wrapped in wax paper. Its a classy touch that mimics a regular deli sandwich, and I like that it isn’t plastic. I was dismayed to see that the sandwich is supposed to thaw in the fridge for best results (since I couldn’t read that information until after I’d already opened the box, prepared to make my sammy). So, I let it thaw. The sandwich cooks in the paper (slightly opened to let steam escape) for only 45 seconds. Immediately the smell made me hungry. 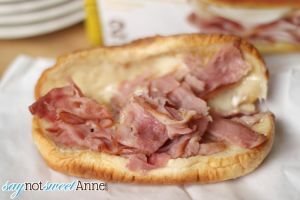 The smoky flavor of the cold cuts really came through and I could even smell the pretzel bun. 45 seconds later, I had my sandwich ready to eat. The size is smallish looking, but it was enough for me. (Hubby has one too and said one would be enough if he had chips or something). I have to be honest and say I was really surprised. The sandwich was really good. It wasn’t perfect: the mustard was a little too concentrated in the middle, and some areas of the sandwich were a little wet for my taste, but overall it was a good flavor and texture. I loved the smokey flavor of the meat (no gross bits!) and the soft-but-not-soggy pretzel bun. I ate the whole thing, and then the next one for lunch the following day. I really think that this sandwich could be a great last minute go-to for lunch, or even a quick dinner. It certainly would keep me from resorting to fast food options on the way home. There are even heating instructions for the times when you can’t wait for the sandwich to thaw! Raybern’s has several varieties of the sandwich. Hubby had the Chicken Cheese Steak and raved about its flavor. What is more – my sandwich was only about 300 calories, with close to 20 grams of protein. That is more protein and less calories than my typical packed lunch, not even comparing a fast food option! All in all, I would recommend these sandwiches for someone looking for a quick and easy lunch option. At about $4 for two they are moderately priced, but with the coupon currently available here they are a great bargain!